Managing any mid-life career change can be challenging, but for ex-service personnel, returning to civilian life is a bigger change than most. However, the reality is that many veterans don’t realise the tremendous value of the skills they can bring to the commercial sector. Elyse Philippi explains why IT services company Unisys actively strives to create an ex-service friendly workplace, including an IT traineeship program to enable a career change into the world of IT. Let’s be clear: welcoming ex-service people into a commercial workplace isn’t some fuzzy “nice thing to do”. It makes smart business sense. Unisys provides IT services to organisations that can’t afford to fail. Many people who have worked in a military environment have developed skills and attributes that are extremely valuable in our business such as discipline, leadership and proactiveness. But it is a big cultural change. 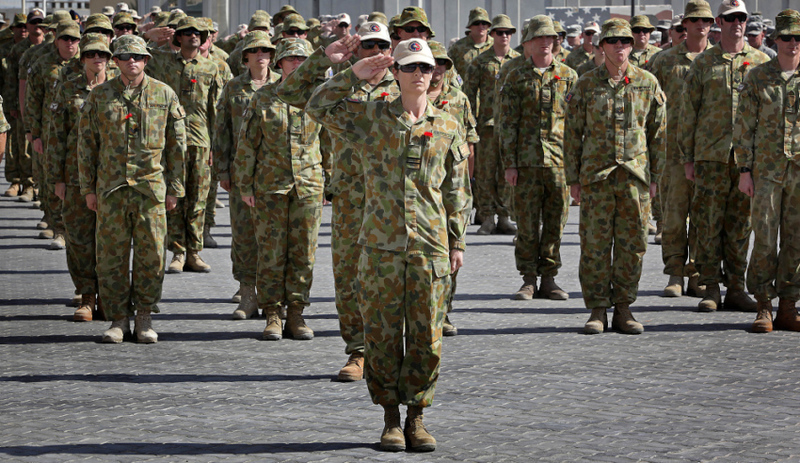 Thankfully organisations like Soldier On work side-by-side with those who have served and continue to serve Australia, as well as with their families, to help secure their future including employment opportunities. For example, they have arranged for more than 50 companies to pledge commitment to provide more employment opportunities, flexibility, and to develop a greater understanding of the service community, within their organisation. They also work with ex-service people making the transition into civilian life to recognise the transferable skills they bring to the commercial sector. Some skills can even be recognised as prior learning for those looking to undertake further education. While Unisys only recently signed this pledge, we have long recognised the high level of professionalism and critical thinking ex-service people bring to the Unisys team. Approximately 15 per cent of our team who provide IT field support to clients in Australia and New Zealand are ex-service personnel or reservists. But how do you start the change into the commercial sector? Look for flexible environments that allow you build the new skills you need, but which also value the skills you already bring. Unisys created an IT Traineeship Program designed to help people with a passion for technology start their career in IT – whether it was their first career or a change in their career journey. The program combines hands-on, on-the-job training working at Unisys, with theory and coursework delivered by the Australian College of Commerce and Management to attain an industry recognised certificate III or IV in IT or networking. This equips those on the program with the skills and certifications to start a career in IT. Coursework is undertaken via distance-based learning with a dedicated trainer on hand, so the trainees are located across Australia wherever our clients need them, rather than having to move to a capital city. The 30 graduates of the program since 2014 identify the main benefits of this approach as being able to immediately apply their learning in real life scenarios, rather than just learn theory in a classroom; the ability to learn full-time and still have an income; ongoing technical training available through Unisys, and interaction on client sites including the Department of Defence and Department of Immigration and Border Protection. From the Unisys perspective, it helps us build a workforce of people with the right skills, values and attitude to understand our clients’ priorities and support their needs. In addition, this type of program also offers opportunities for service spouses and families to start a career in IT. Take advantage of the services offered by organisations like Soldier On and start as early in your transition as you can. Identify your transferable job skills – think beyond certifications, consider practical experience as well as how you respond to issues and events – you have more than you think! Look for traineeships that allow you to combine learning with working. And if you have a passion for IT, perhaps the Unisys IT Traineeship is for you.